The polyester Film type capacitors are use a thin plastic film as the dielectric. This film is made extremely thin using a sophisticated film drawing process. Once the film is manufactured, it may be metallized or left untreated, depending on the needed properties of the capacitor. It is used in power electronics devices, phase shifters, X-ray flashes and pulsed lasers, while the low power variants are used as decoupling capacitors, filters and in A/D convertor, and Transformer less power supply etc. 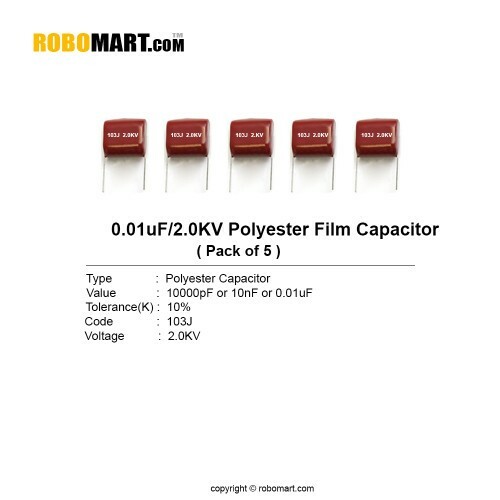 Also Searched as: polyester film capacitor characteristics, polyester film capacitor calculator, polyester film capacitor uses, polyester film capacitor codes, polyester film capacitor polarity, polyester film capacitor values, metallized polyester film capacitor, polypropylene film capacitor.